Hiring managers typically decide whether or not to read an applicant’s entire resume based on what skills and experiences are noted in the resume objective. Use this space to show that you are capable of installing, troubleshooting and maintaining customers’ wireless networks either at residential homes or places of business. Being a successful Wireless Network Engineer requires having advanced knowledge of Ethernet, Frame Relay, LAN/WAN and LWAPP. This education will assist you greatly as you investigate software and hardware issues, manage the deployment of new systems and enhance mobile networks. Superior communication skills are necessary so that you can effectively lead of team of IT personnel and teach the customer about their wireless network. 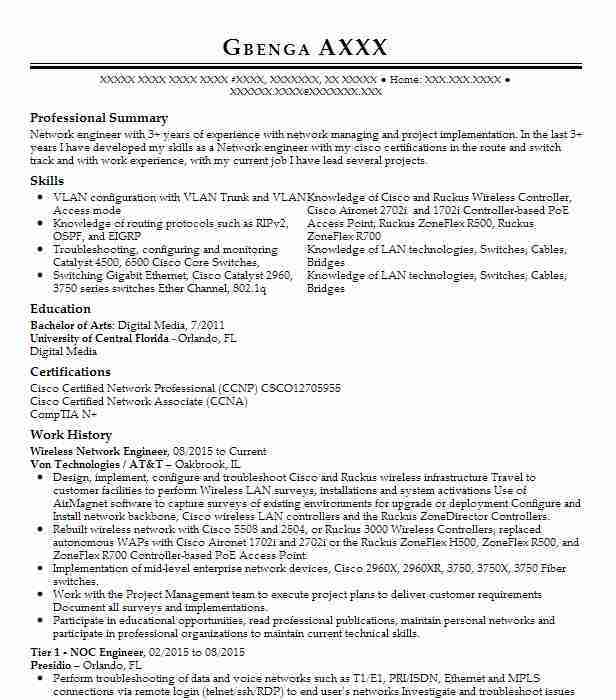 If you have a degree in computer science or other certifications, those can be mentioned in your resume objective along with any other qualifications that would convince a prospective employer that you would be a highly beneficial employee. 1. Obtain a Wireless Network Engineer position at ABC company to implement skills in communication and troubleshooting software. 2. Seeking a position at ABC company as a Wireless Network Engineer to use background in monitoring wireless networks and supervising IT teams. 3. 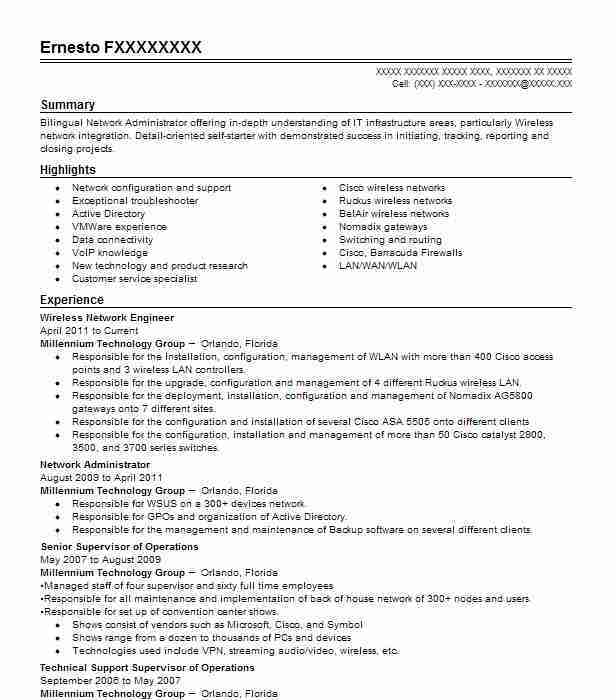 Looking to use 10+ years of experience in resolving hardware issues in LAN/WAN networks and managing the deployment of new systems for ABC company as a Wireless Network Engineer. 4. 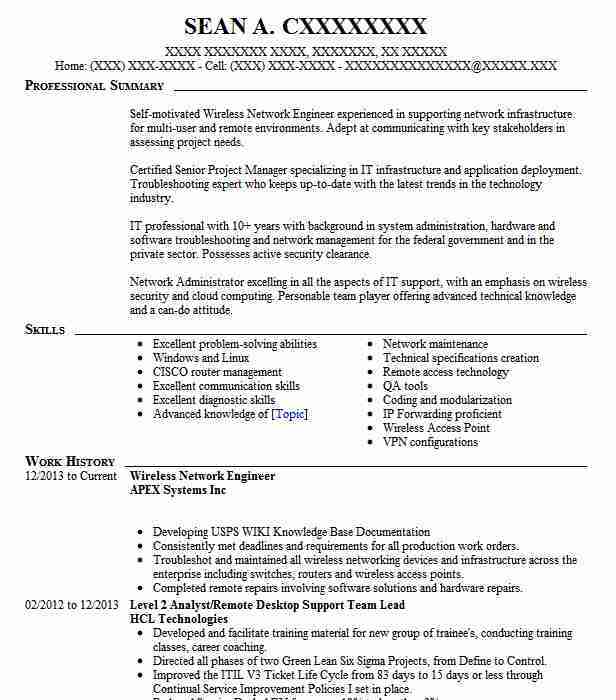 Motivated individual seeking a Wireless Network Engineer position with ABC company to utilize degree in computer science. 5. A results-oriented professional with knowledge of setting up, maintaining and troubleshooting issues with wireless networks seeking a position of Wireless Network Engineer at ABC company. 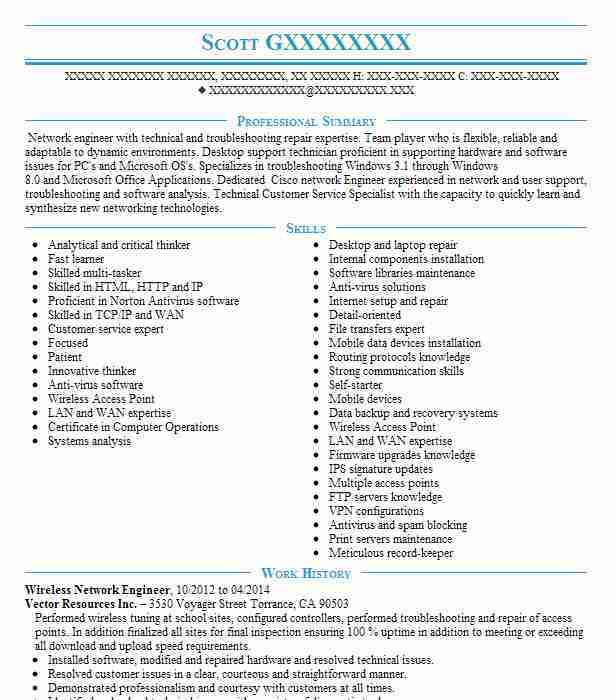 Wireless Network Engineer @ Vector Resources Inc.